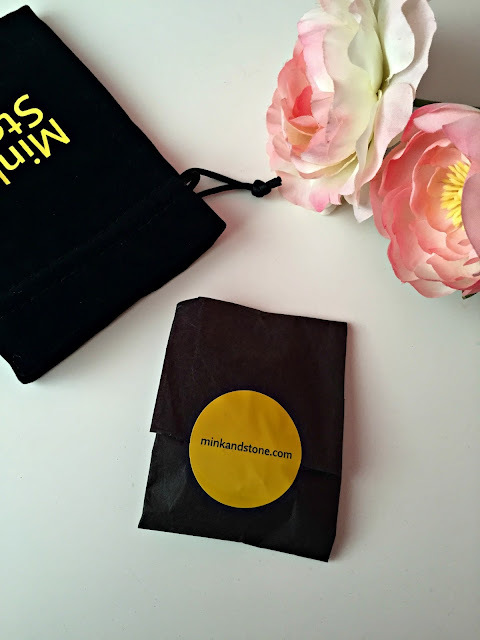 Mink&Stone: My Own Custom Bracelet! I'm not sure about you girls but when I go clothes shopping the one section I absolutely love visiting is the jewellery and accessory section. It's like I'm just drawn to it. I was a magpie in a former life! Even if I don't always buy anything, I do love looking at all the pretty necklaces and shiny earrings and picturing them on outfits I have at home. A girl can dream, right? Well a few weeks ago I was contacted by the lovely Mink&Stone about an opportunity to create my own perfect piece of jewellery and of course I had to say yes! 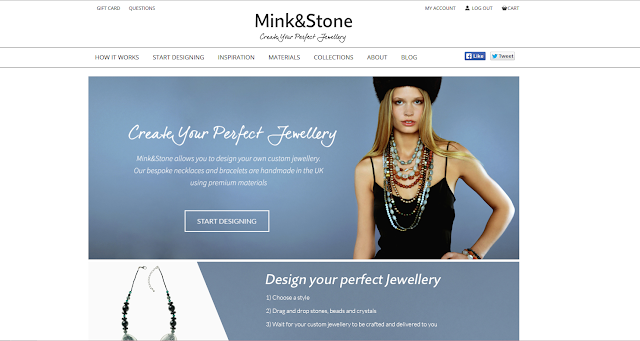 If you've never heard of Mink&Stone here's the low down. The company was founded by Miisa and Mark Mink in London back in 2014. Their inspiration for the business came from a vacation to the grand bazaar of Istanbul. There they saw local jewellers combine rows of bright and colourful materials to create wonderful bespoke beaded designs. 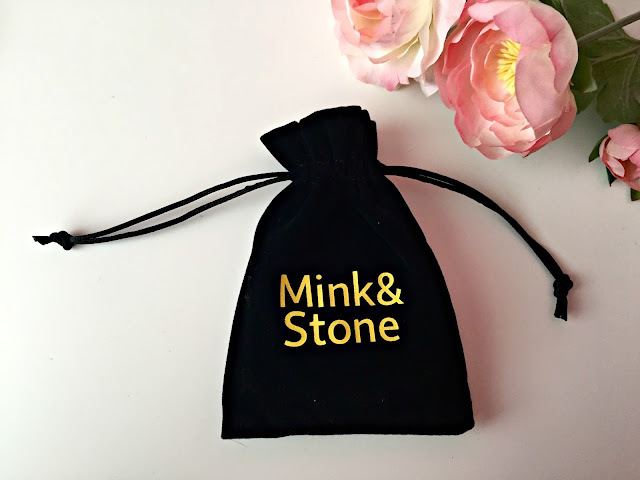 The idea of Mink&Stone is that they wanted to re-create that experience with a modern twist by providing us customers with a range of high quality materials, so we can unleash our creativity and have fun designing our perfect jewellery with our own personal style. The website offers a broad range of materials to use and styles of jewellery but in the end I decided on getting a bracelet. As there was so many difference patterns and designs you can make, it took me forever to decide on just one! After several hours of Once Upon A Time as inspiration, I eventually decided on this gorgeous dusky rose and bead bracelet. I did use a few other designs as inspiration but the idea and colour scheme was all me! I wanted to include something a little personal about myself so I also added the PPB beads in the centre for Petal Poppet Blogs! The whole process was extremely easy and the making off the bracelet was actually ended up being quite fun! Before you can designing, you need to find all your favourite beads and crystals and add them to your tray to use later on. Then you can start placing all your beads in your designed pattern, adjust the length and you're done! It's that simple! You can then publish your design so it appears on the "Inspiration" page and that other users can see and even purchase for themselves. If they do, you earn discounts! I honestly cannot rave about this company enough and I am so happy that I was asked to join in on this opportunity. I absolutely love my bracelet and I can't see me taking it off for a long time! Thank you Mink&Stone! 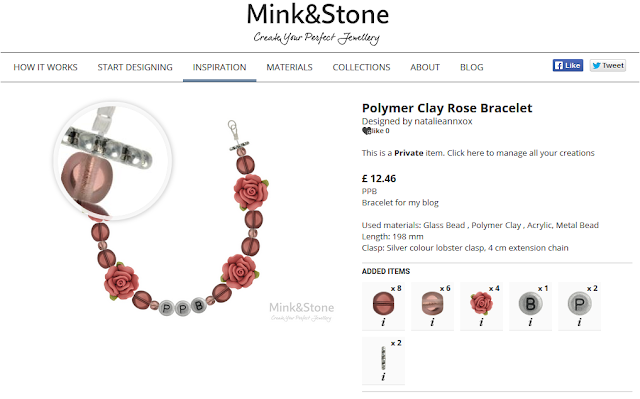 You can check out Mink&Stone for yourself on their website where you can start designing your own bracelet/necklace! You can even check out my design here and use it to make your own! So cool, I love it! That is the coolest thing! The bracelet you created is so nice! !